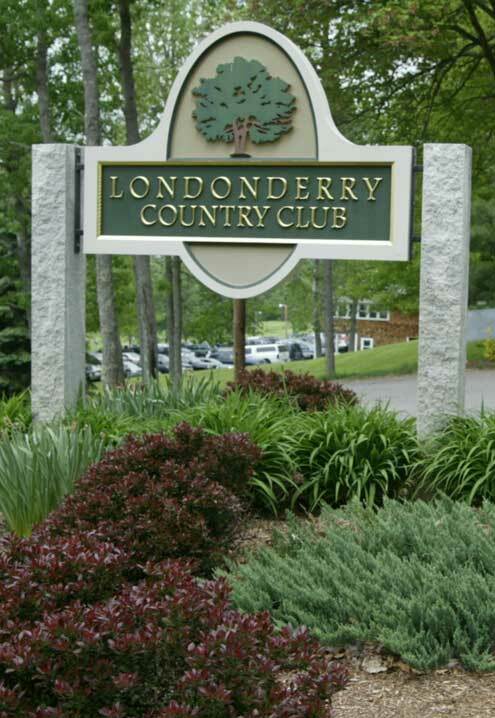 Londonderry’s own executive golf course, Londonderry Country Club, has been open and operational to the public for more than 40 years. The club began in 1969 by Forest Kimball as a nine hole, par 27 course. The Kimball’s still run the course, now in their eighth generation. The golf course has undergone changes over the years, and will continue to do so. More than twenty years after its opening, the course became a 3,840 yard par 62 course. The Kimball’s have recently shown their dedication to the family business by commissioning a golf course architect. George F. Sargent will be redesigning holes seven, eight and nine. The Country Club offers challenging par 4 and par 3 courses, and allows golfers of all experience levels to play the greens. The course can be played, at a walking pace, in about three and a half hours. Golfers may also chose to play all 18 holes, or just the front or back nine. Londonderry Country Club offers more than just golf. A relaxing atmosphere on the outdoor patio can be found near the Nutfield Lounge. The Lounge, itself, boasts a hearthstone fireplace and a fully stocked and licensed bar. A perfect place to host small family and friend gatherings, the Lounge holds up to 65 people. The Banquet Room is great for larger parties, including weddings, corporate events, family reunions, and fundraisers. The room holds between 80 and 150 people, and offers French doors that open to the deck, a hearthstone fireplace, and a full length dance floor. During the Summer months, the doors to the deck can be left open, providing room for another 40 guests. The Country Club can accommodate anywhere from 12 to 144 people for special events. The club will not only take full responsibility in organizing the event, but will also provide starters, monitors of play, and instruction if needed. Other services including customized scoreboards and scorecards, individual designed contests with prizes, place markers and awards ceremonies and the creation of event fliers and collateral. The organizers will also handle the entertainment, catering, refreshments, solicitation of donors or sponsors and rental of riding or pulling carts. Other services at the Country Club include professional golf lessons, both private and group. An Inner Club Membership, for a small fee, is also available. This membership allows players to track their handicaps through a computerized system. The club also offers in house leagues. These leagues are open to the public who have established a USGA handicap or have five 18 hole rounds posted with the club’s Inner Club Membership. The leagues are nine holes only, and rotate weekly between the front and back nine holes. They start in May and run for 15 weeks until mid-August. Visit the Country Club’s website to learn more. Londonderry Country Club is located on Kimball Road in Londonderry, New Hampshire. Browse this map for detailed directions.